Monasteries have always been the most visited places in Leh. Whenever you plan for a trip to Leh do not forget to include the Chemre Gompa Monasteries in your list. You cannot afford missing the attractive power of Chemre Gompa Monastery. This monastery is counted among the oldest monasteries in Leh. By visiting this monastery you will come to know about many interesting facts associated with its history and architecture. Let’s start our journey to Chemre Gompa Monastery! The local people of Leh believe that Monastero Chemre Gompa was built in the 17th century and was constructed by the Red Hats. Hemis, a small town in Leh is considered to be the inspiration behind this Monastery. People of Hemis thought that this Monastery is and expansion of their very own Monastery in Hemis and so they could easily connect to this Monastery. Lama Tagsang Raschen is believed to be the founder of Monastero Chemre Gompa. The main attraction of this Monastery is the rich flora and fauna that surrounds this Monastery. The entire Monastery is enclosed within lush green trees that give an amazing scenario. The Monastery is encircled with beautiful raspberry trees and pleasing yellow flowers. This sight is a treat to the eyes of the people visiting the Monastery. There are extensive species of other attractive trees and flowers in the surroundings of Monastero Chemre Gompa. In the middle of the greenery stand the Chemre Gompa Monastery along with beautiful white stupas that gives another attractive sight. Insie the Monastery there are notable sculptures of Lord Buddha are engraved. These sculptures depict some history behind Lord Buddha. These are beautifully engraved. The road that leads to Monastero Chemre Gompa is a twisted road with a turn. This monastery provides a home for several monks and before seeing anything else one will see monks in the entrance gate of this Monastery. A museum containing different facts about Buddhism religion is attached to this monastery and people can get all sorts of information about the monastery from this museum. Visitors can visit the roof of the Monastero from where they can get an amazing view of the surrounding lush green fields. The yearly festival of this Monastery takes place each year in the 28th and 29th day of the 9th month of the Tibetan Calendar. The monks of this Monastery and the local people celebrate this festival by their sacred dance which they perform inside the Monastery. This festival is an important part of the culture of the monks. It is the best time for a tourist to take a tour of this Monastery since they will get to see a lot more of the Monastery as expected. Monastery is a common sight in the Tibetan sides. When one visit any Buddhist place rich in Buddhist culture then it is a common scenario that they will come across several monasteries. Leh is not an exception to this. When one visits Leh then he is prone to see some beautiful monasteries. 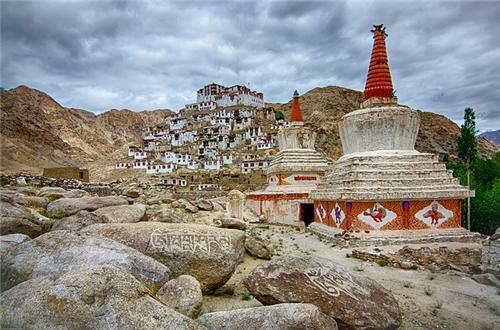 Chemre Gompa Monastery is located just 40 km away from the main city of Leh. Chemre Gompa Monastery is a Buddhist Monastery. Takthok Gompa Monastery is 5.9 km away from Chemre Gompa Monastery. It is a famous Buddhist Monastery located in the village named Sakti in Ladakh. The special attraction of this Monastery is that the roofs as well as the walls of this Monastery are made up of rocks. The Kanglachan Hotel is 20 km away from this Monastery and assures a comfortable stay for the tourist at a much cheaper rate. It is 29.6 km away from Leh airport. 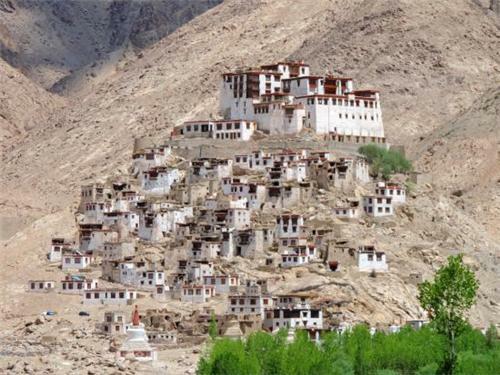 This Monastery is 40 km away from the main city of Leh and hence can be reached easily by taxi or a bus from Leh city. 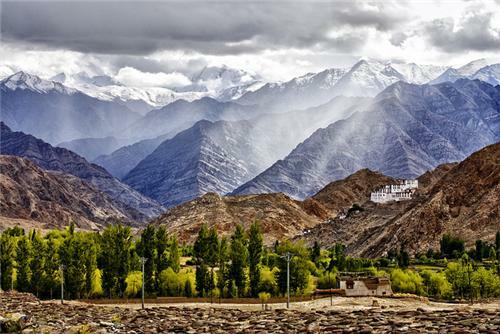 Nothing can be more exciting than a tour to the famous Buddhist Monasteries of Leh. It is highly advisable for tourist not to miss any of these Monasteries at any cost.